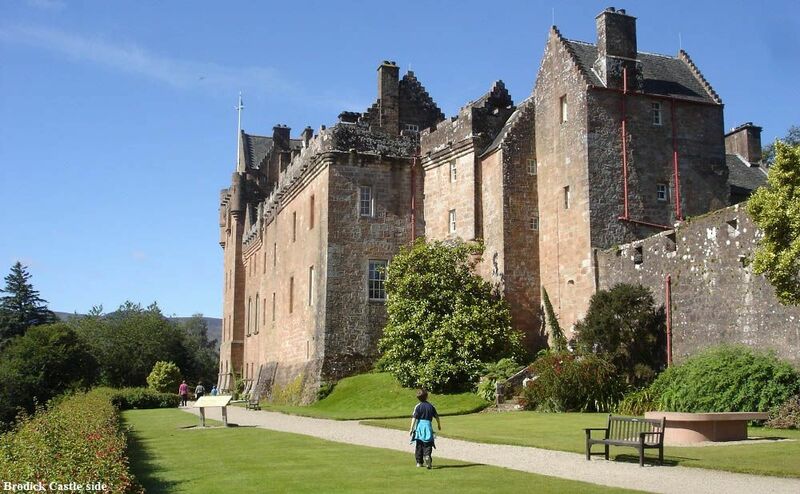 Brodick Castle on the Isle of Arran information, history and large images. 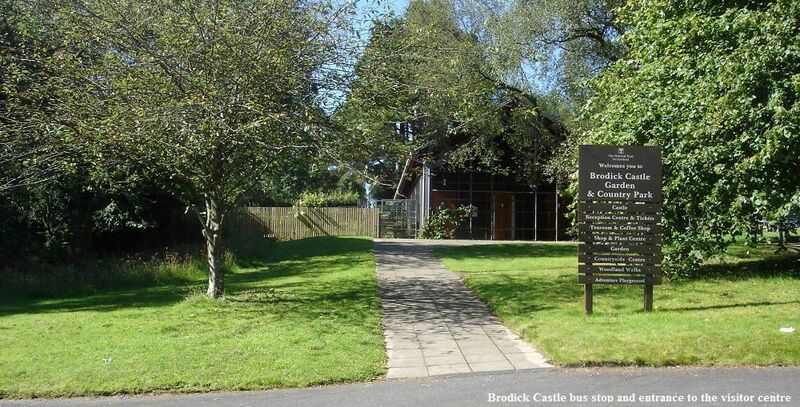 Brodick Castle is situated about 2 miles north of Brodick on the Isle of Arran with regular buses between the two in summer. An ancient Irish tribe is believed to have built the first fortified building on this site in the 5th Century. That building was probably rebuilt many times over the years. The original castle, and Earldom of Arran, were granted by James IV to his cousin Lord Hamilton in 1503. The castle from that time was extended in 1544, with work on the tower begining in 1588 for the second Earl of Arran. 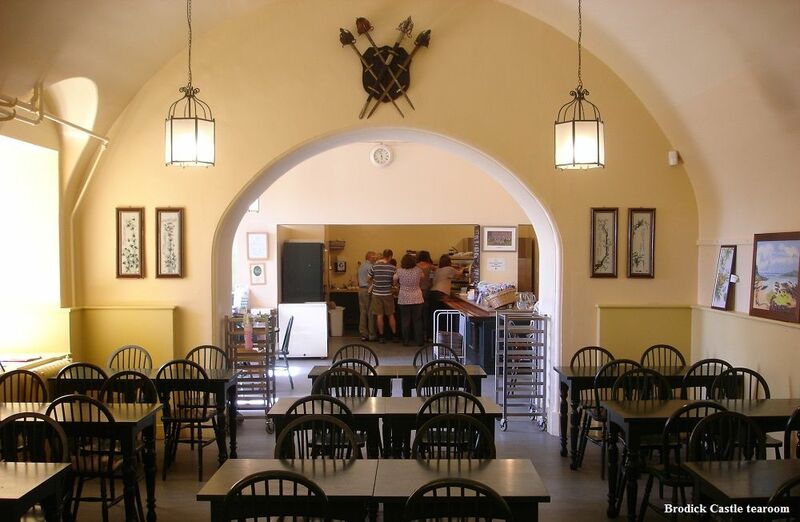 The castle was occupied by Cromwellian troops after the first Duke was executed during the Civil War in 1648, and the second died in battle three years later. 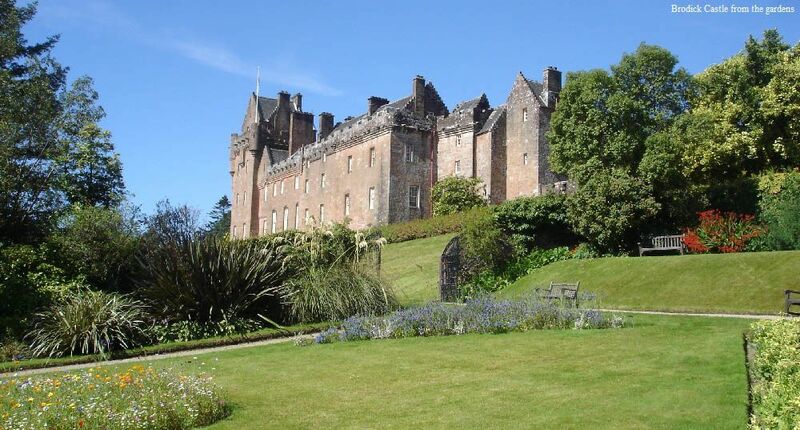 Brodick Castle eventually passed into the hands of Mary, Duchess of Montrose (daughter of the 12th Duke of Hamilton). Her death in 1957, saw the castle taken over by the National Trust for Scotland. 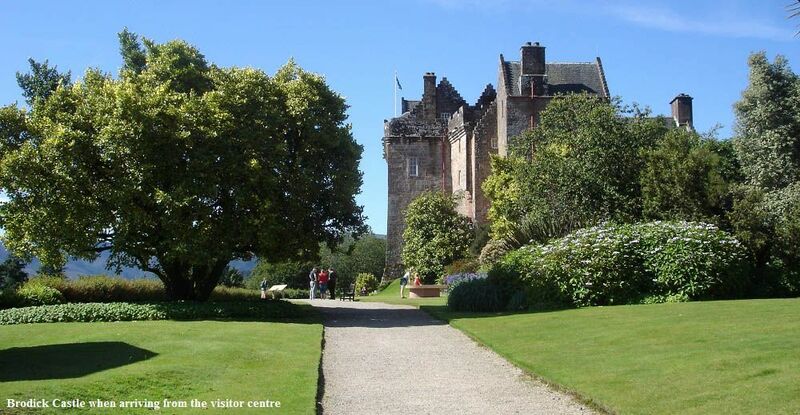 Brodick Castle grounds are now open all year round from 09.00 till sunset, castle tours are available throughout the summer. 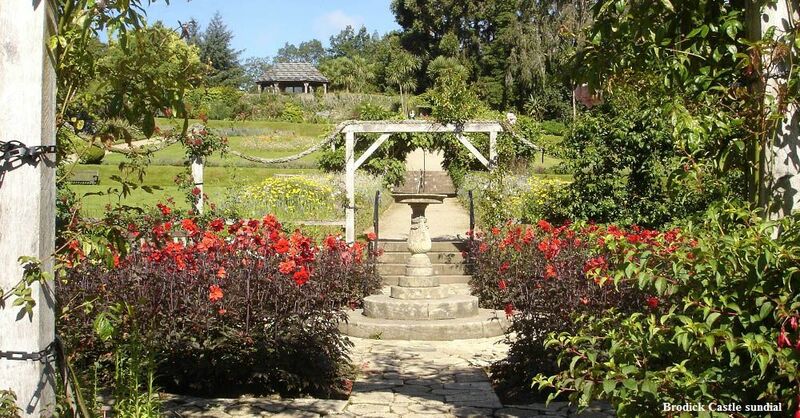 The gardens are typical of many Scottish country house estates, with large trees and plants imported from the 1800s. 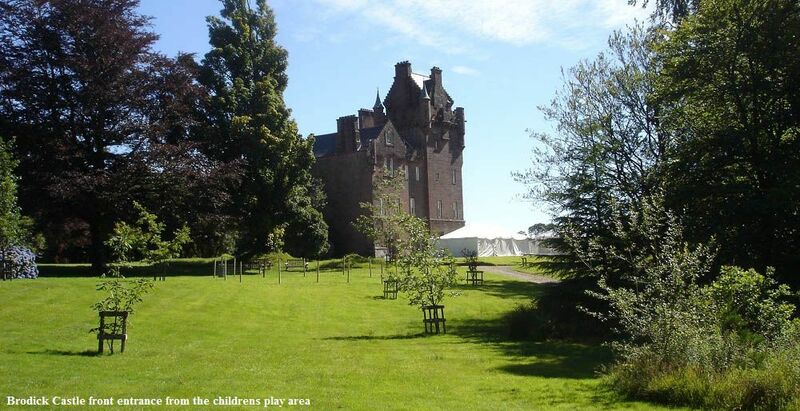 There is a kids play area by the castle, and a Bavarian summerhouse in the woodlands. 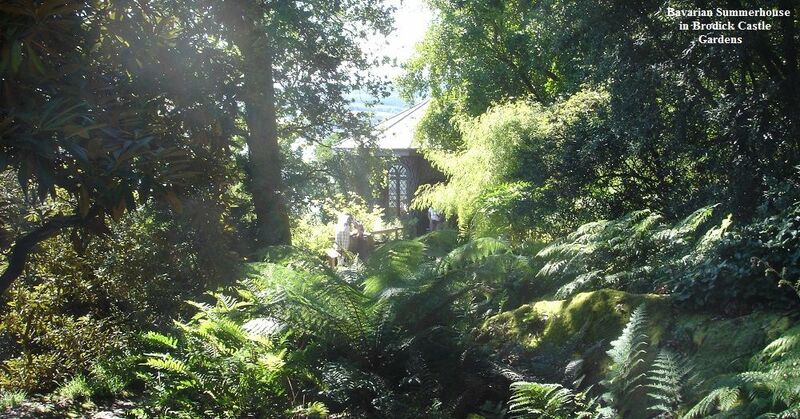 You can also hike Goat Fell mountain from Brodick Castle, as there is a trail from up behind the kids play area that takes you onto the main mountain trail. Goat Fell Photo Tour. 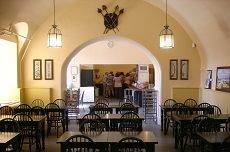 View a large image showing images of the castle as it was re-modeled over the centuries, and its history: Large Image. 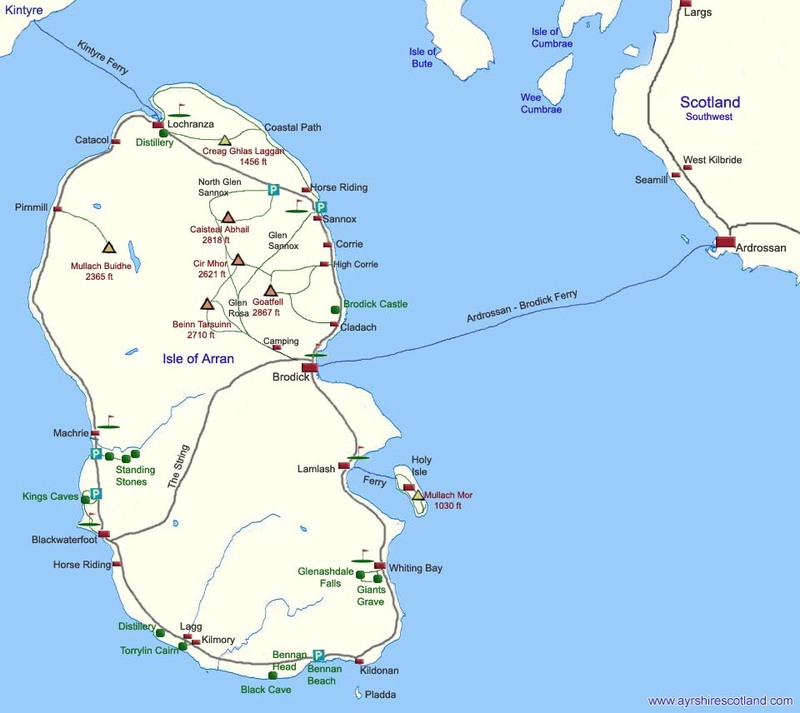 For the other main attractions around the island, view the Arran Attractions Map or Tour of Arran.